Followed by the credit market – think Treasury bills, notes and bonds – foreign exchange is by far the largest financial market in the world. To give you an idea how gargantuan this market is, trading averaged $5.1 trillion per day in April 2016, according to the 2016 Triennial Central Bank Survey of FX and over-the-counter (OTC) derivatives markets: https://www.bis.org/publ/rpfx16.htm. Across the spectrum, a number of accessible foreign exchange (often referred to as forex or FX) trading products are available. The most active is spot FX, which is traded over the counter (OTC). The over-the-counter market, also known as the ‘cash’ or ‘spot’ market, is a place where instruments are exchanged for cash and delivered forthwith, or on the spot. Unlike the stock market, the spot market has no physical central exchange – trade takes place through brokers offering retail investor accounts. Catering to a number of market participants, the forex market operates 24 hours a day five days a week, beginning in Wellington, New Zealand, on Sunday and wrapping up in New York Friday afternoon. A key point to also keep in mind is daily trading volume generally increases amid London and New York hours, particularly when the two market sessions overlap. The main players involved in the FX market, aside from governments and central banks that perhaps have the largest influence, are commercial banks. 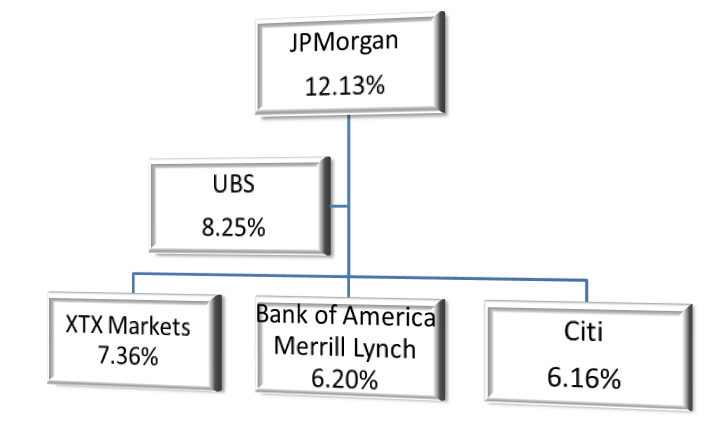 Collectively, the five largest banking institutions control more than 40% of the total trade volume, with JPMorgan Chase capturing the lion’s share at 12.13%. In many countries, the central bank’s mandate is to manage a nation’s currency, money supply and interest rates. Autonomy from government is in place to ensure short-term political events avoid interfering with achieving this objective. The US Federal Reserve (more commonly known as ‘the Fed’) is such an example. After commercial banks, smaller banks, multi-national corporations, large hedge funds and some of the retail market makers enter the fold. The forex market includes a number of currency pairs – that is two currencies paired along with one another. At IC Markets you’re able to trade up to 65 currency pairs! 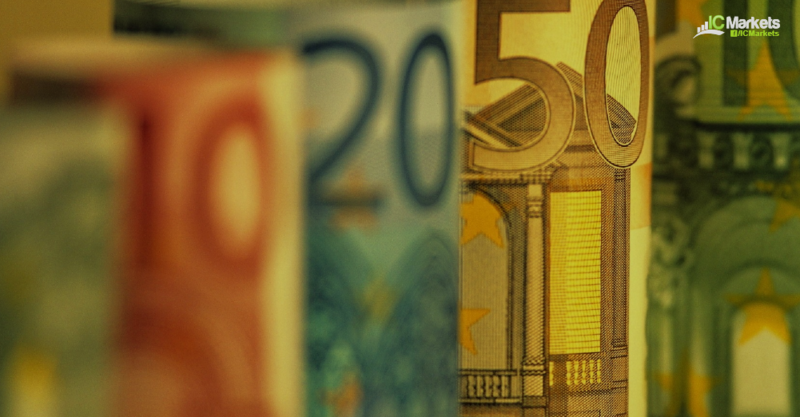 The EUR/USD, the GBP/USD, the AUD/USD and the USD/JPY are considered major currency pairs. Note major markets all include the US dollar. Major currency pairs are the most actively traded markets, with the EUR/USD taking the lion’s share of volume. The ‘base currency’ is the initial currency, which always represents a value of 1 unit. The EUR, GBP, AUD and USD (highlighted in bold) are base currencies. The ‘quote currency’, or ‘counter currency’, is the second currency – the US dollar and Japanese yen (underscored). The quoted amount is the quantity of quote currency it takes to equal 1 unit of the base currency. Minor currency pairs, the EUR/GBP, EUR/AUD and GBP/JPY, on the other hand, capture a smaller market share. Currency pairs not associated with the US dollar are referred to as minor currencies, whereas exotic currency pairs (best left for another article to avoid confusion) include currencies associated with emerging markets. An exchange rate is the value at which one country’s currency can be exchanged for another. When traders engage with the FX market from a speculative standpoint, a ‘view’ or ‘bias’ is taken, either in the form of a long position (a buy) or a short position (a sell). 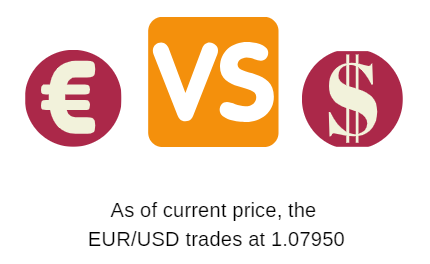 Should the EUR/USD, trading at a price of 1.07950, advance to 1.07980 this indicates the euro advanced against its US counterpart, increasing in value. Those long the market will note a profit, while those short will be at a loss. A decline to 1.07910, on the other hand, translates to a loss for traders long the currency pair and a gain for those short. Buying a currency pair involves buying the base currency by selling the quote currency. Selling a currency pair involves selling the base currency by buying the quote currency. Entering the world of foreign exchange trading is often a daunting process, overloaded with a plethora of technical jargon. Technical analysis typically helps define WHEN to trade. Assume you recognize the underlying fundamentals are pointing to a rally in the British pound vs. the US dollar, though the technical picture trades at the underside of strong resistance (a level – a ceiling – in the market price has had trouble breaking beyond), this suggests buying the market is hazardous at this point. Once the resistance is taken out, a buy trade could then be taken as now both technical and fundamental studies trend in unison. Fundamental analysis helps answer the question WHY a market is moving in a particular direction. For example, is the currency pair rallying due to the Federal Reserve expected to hike rates in the near future, or is the move fuelled by a country’s political stance. Knowing what may cause markets to move helps pin down market direction. A pip – a common term in the business – serves as an abbreviation for ‘point in percentage’ or ‘price interest point’. It is the unit of measurement to express the change in value between two currencies. Using the EUR/USD exchange rate depicted above: 1.07950 – we can see in order to buy 1 Euro (remember the base currency always represents 1 unit) it’ll cost $1.07950. Assuming the market skips to $1.07960, price has advanced one pip higher – that is a move from .0795 to .0796, a .0001 price move. 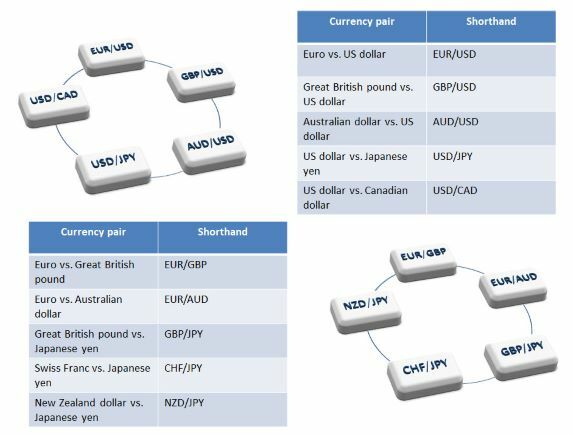 The majority of forex pairs go out to 4 decimal places, though there are some exceptions such as the Japanese yen pairs that go out to two decimal places. The last value on the quotation: $1.07950 is called a ‘pipette’, which equals 1/10 of a pip. If the EUR/USD moves to $1.07952, a 2-pipette advance has been observed. The Bid price is the price traders execute a short (sell) position. The Ask (or ‘offer’) is the price used to enter into a long (buy) position. Below is a standard order window available on MT4/5 platforms. The GBP/USD forex pair is trading at 1.2873/1.2874 (the smaller values: 7 and 2 are, ‘pipettes’, as highlighted above). This means the market has an Ask/offer price of 1.2874 and a Bid price of 1.2873. Traders can, therefore, buy the GBP against the US dollar at 1.2874 (the Ask) and sell the GBP at 1.2873 (the Bid). The difference between the Bid/Ask is called the ‘spread’ – another common term you’ll here often, which basically represents brokerage service costs. 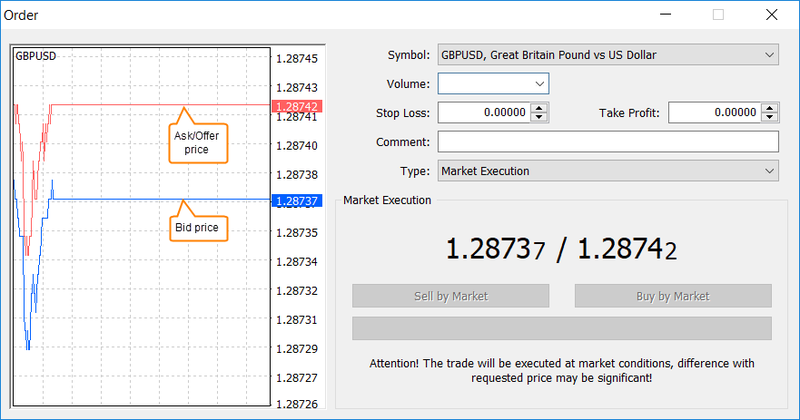 The GBP/USD forex pair above shows the spread or ‘cost’ to purchase 1 unit of GBP using IC Markets is half a pip, or five pipettes (1.28742 [the Ask] – 1.28737 [the Bid]). The broader the spread the more expensive it is to trade. Liquid and frequently traded major currency pairs routinely offer small bid/ask spreads, while the more erratic, less traded pairs, typically boast larger bid/ask spreads (the exotics and some minor currency pairs). Leverage is the ability to control large sums of capital using very little of your own funds. Leverage, however, is a double-edged sword and can be considered high risk if not controlled. Risk of excessive leverage has the potential to enlarge your profits or losses by the same magnitude. Can I profit in the currency market? In short, YES. However, avoid underestimating the time and boundless dedication it takes to reach high-level trading. Forex trading is ideal for those looking to take charge of their own financial future. Having the freedom to invest in both rising and falling markets around the clock five days a week, while minimising costs, is also a big plus! Don’t rush! How many businessmen/women do you know started a business with little to no knowledge and have remained profitable? It’s no different for forex traders! Currency trading is an art. Spend time learning your craft. Journal the progress. Learn from your mistakes. Without a journal, the learning curve will likely be a long process that may end with you throwing in the towel. Keep risk parameters to within a 1-2% bracket on each trade. Avoid overtrading. Focus on a couple of major currency pairs to begin with. Trade using a demo account. This allows you to familiarise yourself with the trading platform’s features and test your strategy before moving to a live trading account. 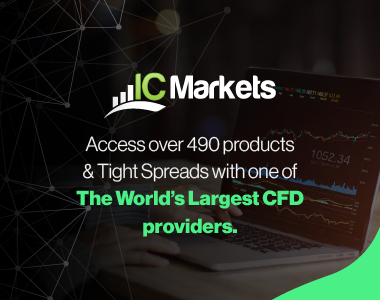 Consider opening a demo account with IC Markets: the largest MT4 and True ECN forex broker in the world http://www.icmarkets.com/forex-trading/open-a-demo-account/. Follow IC Market’s experienced market analysts: https://www.icmarkets.com/blog/, who post daily reports covering multiple markets. This ensures you never trade forex alone!